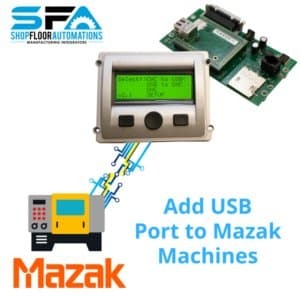 Your CNC machines have RS232 ports – SFA can connect them to your network with Ethernet RS232 hardware. 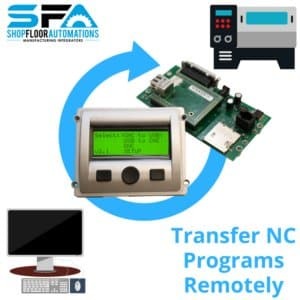 With our Wired & Wireless CNC Connect devices or our LAN Connect devices, you can leverage your current IT infrastructure on the shop floor. Replace the long RS232 runs of older style hubs, take advantage of your wireless network & get rid of cables all together! 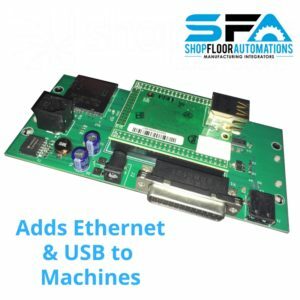 Using Ethernet allows multiple PCs the ability to access shop floor machines. 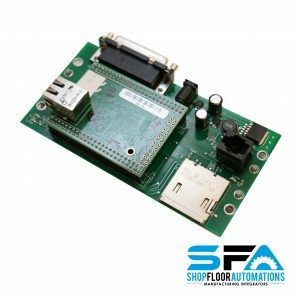 Ethernet can go longer distances, which keeps the RS232 connection short & provides more reliable DNC communication. Wireless CNC Connect devices stay mounted to the machine – confirm you have a dependable wireless signal, move your CNC machine, & it is always connected to the DNC system.